In this paper, we examine the health, diet, and lifestyle of the early inhabitants of Fiji using non-specific and specific indicators of health recorded in 42 adult and six subadult skeletons excavated at the Sigatoka Sand Dunes site, VL 16/1, on Viti Levu, one of the largest samples of prehistoric skeletons from Fiji. Because the dates of the Sigatoka cemetery may coincide with contact with later intrusions of people from regions located to the west of Fiji, our research has the potential to inform on the health of prehistoric Fijians during a time of potential stress. Limited comparisons with skeletal series from Remote Oceania for understanding the health of the early inhabitants of tropical Pacific Islands are also made. This is the first study that focuses exclusively on the health of the people interred in the Sigatoka cemetery. With some notable exceptions, few differences were observed in comparisons of skeletal and dental indicators of health in adult males and females from Sigatoka, differences that can be attributed to gender-related cultural practices (e.g., kava use in males), dietary differences, and age. Regional comparisons indicate the early inhabitants of Fiji were relatively healthy and robust people. Unexpectedly, no evidence of yaws was found in the Sigatoka skeletons, a disease that was highly prevalent in Fiji and the western Pacific when the first Europeans arrived. Limited observations of deciduous dental pathology indicate good health in utero and during infancy. Pietrusewsky, M., Toomay Douglas, M. and Ikehara-Quebral, R. (2017) “Skeletal and dental health: the bioarchaeology of the human skeletons from the Sigatoka Sand Dunes Site, VL 16/1, Viti Levu, Fiji”, Journal of Pacific Archaeology, 8(2), pp. 63-78. 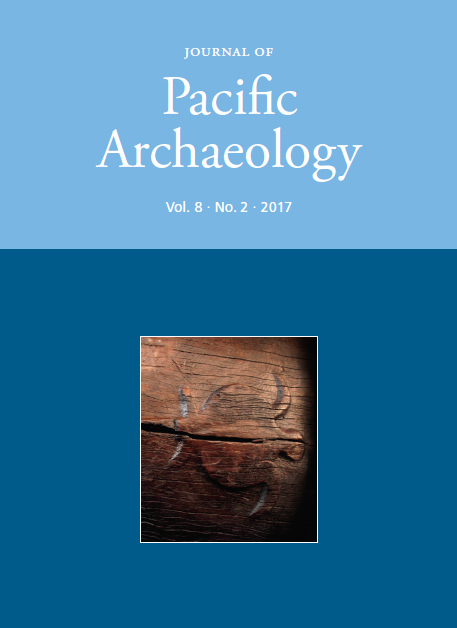 Available at: https://www.pacificarchaeology.org/index.php/journal/article/view/221 (Accessed: 22April2019).